BROTHER FELIX Y. Manalo was born "Felix Manalo Ysagun." His father was Mariano Ysagun and his mother was Bonifacia Manalo. However, he changed his name into "Felix Ysagun Manalo." When and why he changed his name? According to Kavanagh, a Catholic priest, the residents of Taguig insist that the changed was made when he started his preaching of the Iglesia ni Cristo (in 1914). However, records show that it was in 1905, after the death of his mother, when he started to used the name "Felix Y. Manalo." After the death of his mother in summer of 1905, he stayed for a while in Tipas to be with his brother (Baldomero) and sisters (Praxedes and Fausta). When he went back to Manila, he enrolled at Ellinwood Bible Seminary with the name "Felix Y. Manalo." In 1909, when he joined the Christian Mission (Disciples of Christ), he was known as "Felix Y. Manalo." In a newspaper of the said society published in 1909, it metioned the name "Felix Y. Manalo." When he married his first wife, Tomasa Sereneo, her name was changed to Tomasa Manalo. In 1911, when the first congregation of the Seventh-Day Adventist Church in the Philippines was established, included in the list of its pioneer members were Felix Y. Manalo and Tomasa S. Manalo. 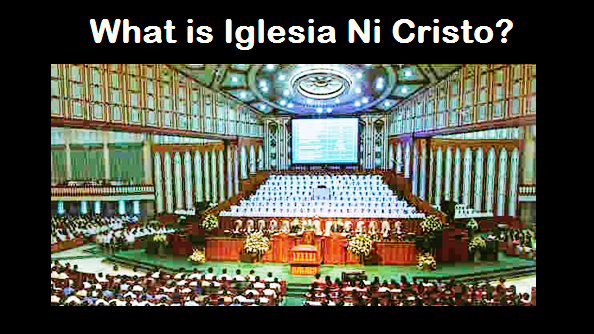 From 1905, Brother Felix went back to Tipas only in 1914 to preach the Iglesia Ni Cristo in his hometown. Thus, it was only then that the people in Taguig learned that Felix was now using his mother's surname. His Name To "Felix Y. Manalo"
The PASUGO (the official magazine of the Iglesia Ni Cristo) tells us that Brother Felix changed his name to "Felix Y. Manalo" because of his great love and affection for his mother. That he grieved his mother's death so much he decided to used his mother's surname. However, there was another reason why he changed his surname - he and his siblings wanted to have only one surname. Yes! It was not only Brother Felix Y. Manalo that changed his surname, but also his brother and sisters. The four siblings have different surnames - Felix and Praxedes were using "Ysagun" and Baldomero and Fausta were using "Mozo." Their mother, Bonifacia Manalo married twice (the first with Mariano Ysagun and the second with Clemente Mozo). The father of Felix and Praxedes was Mariano Ysagun, while the father of Baldomero and Fausta was Clemente Mozo. Since Felix and Praxdedes were not "Mozos," and Baldomero and Fausta were not "Ysaguns," thus, "Manalo" was the most logical, neutral and practical for them to used because they are all "Manalos." Brother Felix's siblings indeed used the surname "Manalo." Their records and families attested to this. His Name Is "Felix Y. Manalo"
And Not "Felix M. Ysagun"
Not because he was born "Felix Manalo Ysagun," he must be called "Felix Ysagun" and not "Felix Manalo." If so, the Philippine national hero must also be called "Jose Alonzo Mercado" and not "Jose Protacio Rizal" because he was born "Jose Alonzo Mercado." If "Jose P. Rizal" is the legal name of our national hero, even though he was born "Jose Alonzo Mercado," thus, "Felix Manalo" must also be accepted as the legal name of Brother Felix even though he was born "Felix Ysagun." If they insist that "Brother Felix must be called "Felix Ysagun" and not "Felix Manalo" because his father was "Mariano Ysagun," they must also insist that the Philippine national hero must be called "Jose Mercado" and not "Jose Rizal" because his father was Francisco Mercado. Changing your name is not wrong and it does not mean that you have no respect to your parents. Take note that the mother of the Philippine national hero was "Teodora Realonda Alonzo," and his father was "Francisco Protacio Mercado," while his name is "Jose Protacio Rizal." After Rizal's death all his siblings changed their surname from "Mercado" to "Rizal." When Rizal and his siblings changed their surname from "Mercado" to "Rizal," their parents did not mind and they were not accused of being disrespectful of their parents. Also, changing name is not against the Bible: Apostle Paul was first called "Saul"; Abraham was first called "Abram"; and Israel was first called "Jacob."